How much are replacement liners? You can buy individual liners for $49.95, less cost if purchasing larger quantities. What are the liners made of? Our FDA approved food-grade liners are 2-ply, 8 mil (4 mil each layer) PE film, form fitted to the shape of the Rain Bench®. 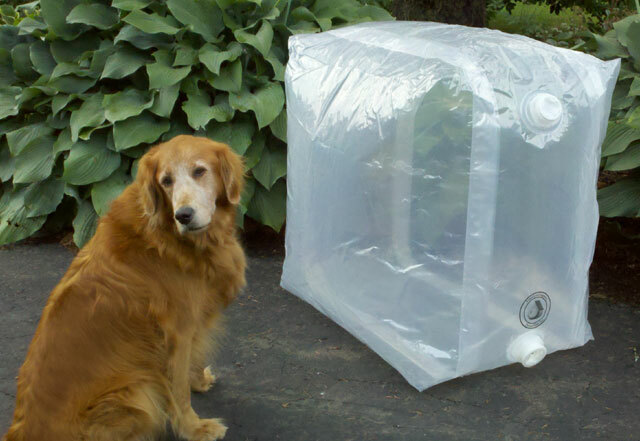 They measure 32″w x 32″l x 32″h and have two fittings welded on with 2″ female PVC thread. 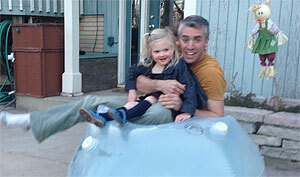 We designed them specifically for the Rain Bench®. They are manufactured in the USA at an ISO 9001 certified facility. Do the liners come in other sizes? Currently the size referred to above (32″x32″x32″) is the only one available for sale. However, we have been developing and testing more sizes and applications which may be available at a later date. If you have any specific needs or requests, please contact us and we will try to accomodate. I don’t even know what a router is, but I still want a Rain Bench. What do I do? No worries, you’re not alone. Most of this is only intimidating until you do it and realize how simple it is. Still, it’s not for everyone..
What fittings are included in a DIY kit? We put together the most complete set of PVC and garden hose fittings/ adapters in order to allow easy hookup to a supply line (i.e. downspout diverter or greywater system – ideally 1″ barbed fitting but also garden hose), to a garden hose (includes shut-off valve), and to an overflow fitting or line (2″ PVC or 1″ barbed fitting). Also included are various lengths of U.V. resistant, food grade 1″ I.D. 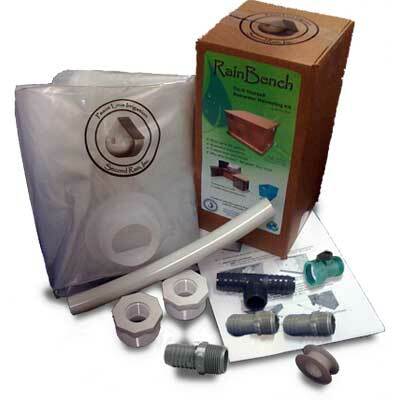 vinyl tubing and a full roll of teflon tape to seal fittings (in the standard RainBench® DIY kit) and more for the larger kits. Generally, all you need to buy is lumber and fasteners for most of our kits unless you just buy liners..
How long can I expect my liner to last? We guarantee the liners for 2 years against any manufacturer defects (material, seams, construction) and have done extensive use and freeze/ thaw testing. (Draining your Rain Bench® for winter is still recommended) They are, however, not indestructible and therefore can be torn or punctured with sharp objects. 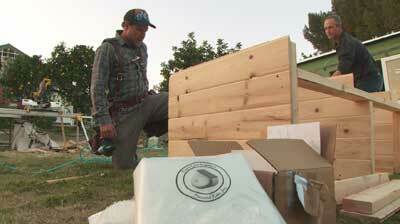 Once inside a Rain Bench® framework, however, they are protected from most dangers as well as sunlight. We have our own and various installations for others since spring of 2009 and have never needed to replace a liner due to a failed seal. The only time we have heard of a replacement being needed is has been 1, from animal damage. How long can I expect my lumber to last?